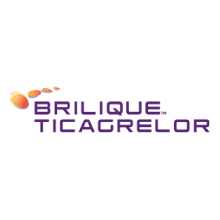 Brilique (ticagrelor) is an oral antiplatelet treatment for acute coronary syndromes (ACS) in a new chemical class called cyclopentyltriazolopyrimidines (CPTPs). Brilique works by preventing the formation of new blood clots and maintaining blood flow in the body to help reduce a patient’s risk of another cardiovascular event (called atherothrombotic events) such as a heart attack or cardiovascular death. Brilique is the first reversibly-binding oral adenosine diphosphate (ADP) receptor anyagonist.